As you probably know, fraudsters’ techniques to spoof fraud prevention systems are becoming ever more sophisticated. Moreover, they perpetually refine them to leave your company’s static rule-based systems far behind. To prevent this, you need to adjust the rules to these new circumstances, which is not always easy and can take serious amount of time. 10 rules, grow into 20 rules, then 50 and you end up with a set of over a hundred and no knowledge whether they provide value or suffocate the business. After a while, you are left with a stiff, error-prone, complex system and a team of fraud analysts on board who need to manually check lots of transactions anyway. That’s expensive and not necessarily effective. These days, to be more successful in fighting online fraud, more data (volume-and variety-wise) needs to be analysed in shorter time. But machines can. For each assessment they are able to crunch thousands of data points in below a second. Exposing intricate relations between each and every one of them. As an outcome of their analysis, you receive decisions as to whether a particular transaction is fraudulent or not. Thanks to weighing of each available feature they reach accuracy far surpassing what we see in any non-ML systems. But you need to mind that fraud is such a complex phenomenon these days that sometimes Data Scientists need to reach for the most advanced Machine Learning algorithms available to detect it. Like XGBoost or Neural Networks, which are approaches providing best performance but provide a cost in interpretability of the outcome. So, it means that due to the complexity and multidimensionality of calculations, you won’t be provided with a detailed path of how a machine made a decision as it would be too difficult to understand. Although you can’t take a deep dive into a machine’s mind and analyse its line of thought, it doesn’t mean that you will be completely blind as to how fraudsters are detected in your company. Firstly, you get one or maybe two models (instead of 150 rules) that take into consideration all the possible features and adapt to them to ideally learn the problem you have exposed them to - you need to track only the models, not a web of intertwined dependencies. Secondly, you are able to embed your business KPIs within the model (by providing the right function), so that you know what is being maximized by the model is your revenue based on all the features - your business strategy is data driven! Finally, thanks to libraries like LIME or ELI5, AI-based fraud prevention systems can provide you with all kinds of data and features that are indispensable to recognise fraudulent transactions threatening your company. Or whether their impact is positive (the higher the value, the higher the probability of fraud) or negative (the higher the value, the lower the probability of fraud). 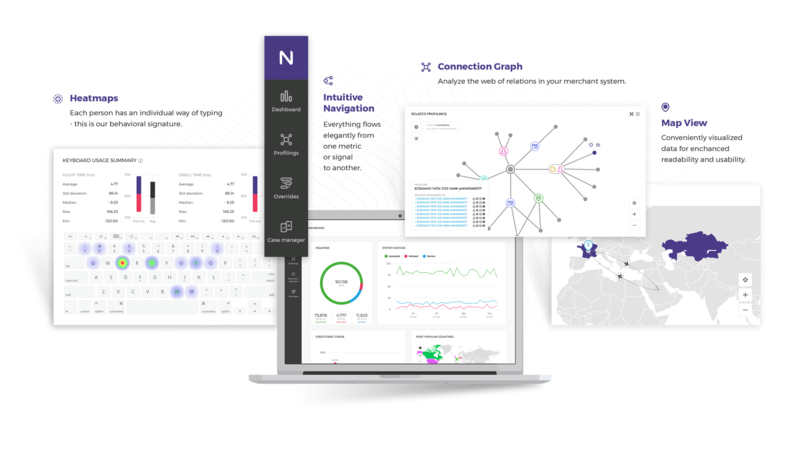 And, for instance, with Nethone Guard, you get access to an intuitive dashboard with visualisations that show you in a simple and easy manner which transactions were marked as fraudulent and why. As a result, you have insight into how your anti-fraud strategy is performing and take proper actions if needed. ...and here’s something you can’t overlook! It works! Undoubtedly, machines are better in detecting fraud and dealing with false positives than humans. And you can find many examples proving this, as in 80% decrease in chargebacks or 44% reduction in manual reviews in the case of a large airline from Latin America that we had pleasure to work for. You can manage the budget more effectively. Thanks to machines, you don’t need to worry about talent shortage for manual reviews. Deploying Machine Learning is also beneficial for your employees as they can be assigned more mission-critical and demanding projects. Machines work 24/7/365, constantly adjusting their settings (under human supervision) to the changing environment (like new fraudsters’ tactics etc.). And that means a lot of time saved for your team. 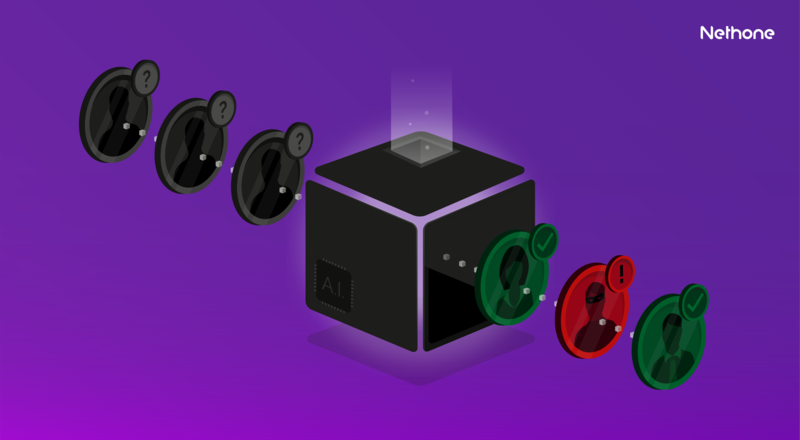 Machine Learning opens new opportunities and can take your company to a completely new level by dealing with problems that have been extremely hard to solve... until now. You are probably familiar with the term friendly fraud. It’s a situation in which a legitimate customer purchases a product or service online using their credit card, yet once the order is delivered, they request a chargeback from their bank. is extremely difficult to tell from a genuine transaction as the behaviour patterns of honest, and dishonest customers are very similar. is a very common offense. According to CardNotPresent.com, it accounts for up to 86% of all chargeback requests and costs retailers more than $11 billion per year. But, fortunately, with Machine Learning, the situation is changing. At Nethone, we’ve managed to successfully discover which aspects of customers’ behaviour and transactions designate friendly fraud! With the aid of Machine Learning and behaviour analysis that was only possible thanks to Machine Learning - technology that revolutionizes the 21st century with self-driving cars, intelligent homes and AI fraud prevention.